Rumble at the Water Tank! 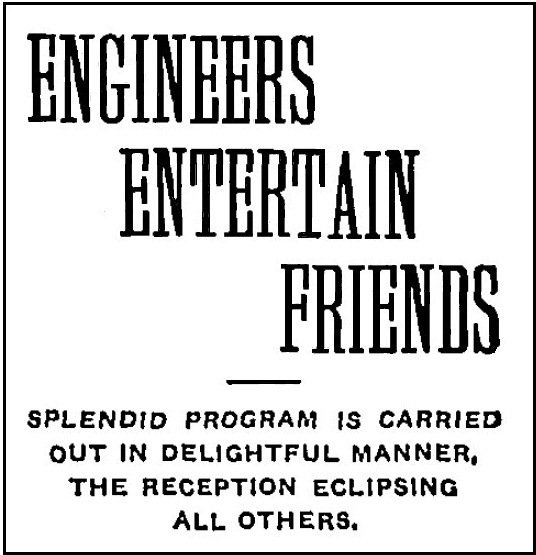 The 1904 start of the infamous “feud” between engineering and law students. 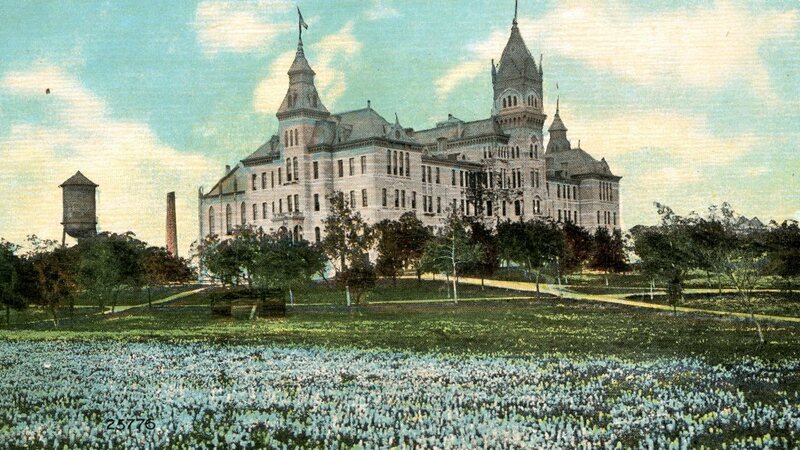 It arrived late in the summer of 1904, when a near-vacant campus was quietly wilting under the August heat. A stark-black and spindle-legged water tank was installed just north of the old Main Building. Intended to be temporary – a year or two at the most – it remained for almost two decades. An instant campus landmark, the tank provided a backdrop for many campus shenanigans, and was the catalyst for a long-lasting rivalry between law and engineering students. The need for a tank was born in 1900, when a spring flood brought down the seven-year old Austin Dam that had created Lake Austin. 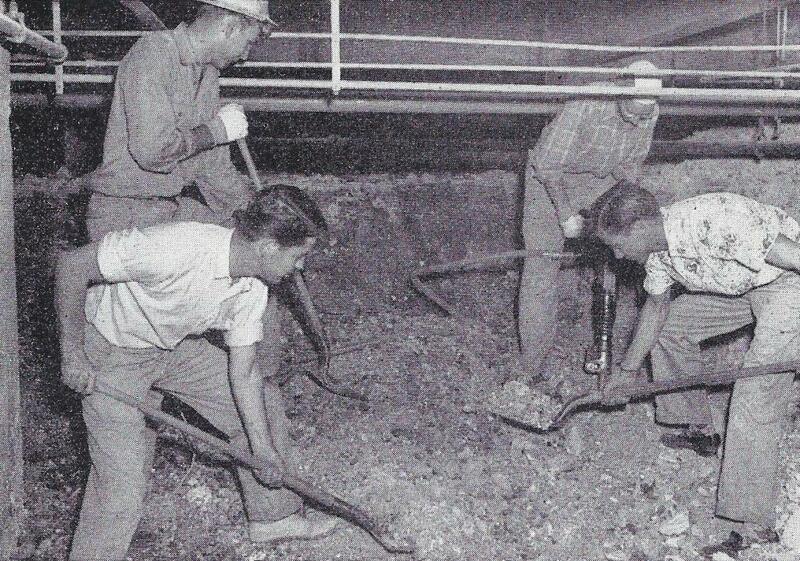 City water service was interrupted and remained sporadic for years, and the frequent water shortages forced Austinites to make emergency plans until the water supply was dependable again. 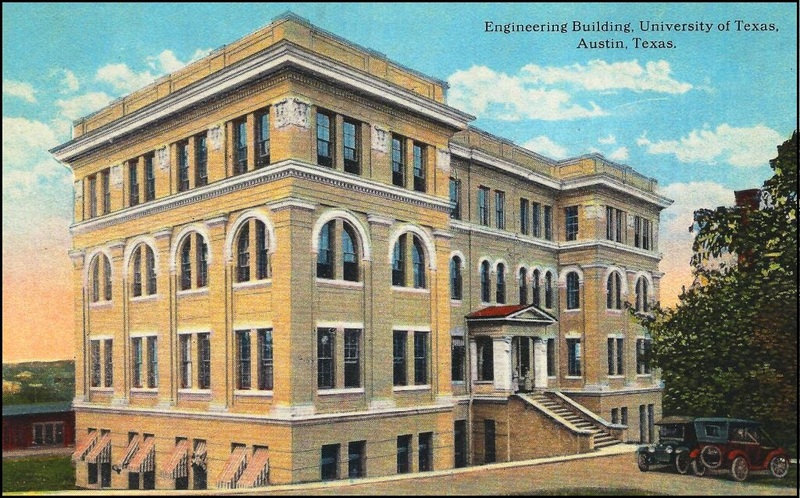 Just before the start of the 1904-05 academic year, UT President William Prather ordered the elevated water tank constructed behind the auditorium of Old Main. Dubbed “Prexy Prather’s Pot” by the students (“Prexy” was slang for “President” at the time. ), it towered 120 feet on four lattice supports and stood “in somber majesty on the open campus, in its coat of black paint.” The tank cost just over $11,000, but after it was ready and tested, the University discovered that the city could only provide enough water pressure to fill the tank halfway, making it almost useless. Even worse, the tank leaked, and a permanent pool of mud formed directly beneath it. Fortunately, the University didn’t experience a water emergency, but a lonely water tank on a college campus isn’t likely to be friendless for very long. It soon became a focal point for student antics. 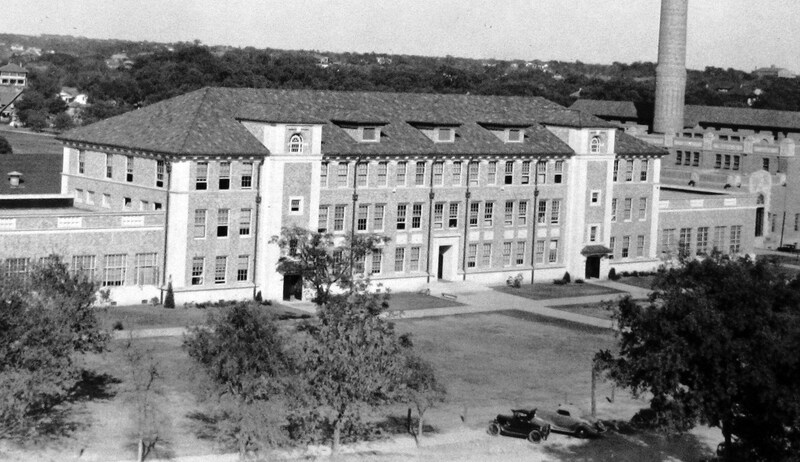 Above: The water tank sat behind the old Main Building, fairly close to the north edge of campus at 24th Street, about where Inner Campus Drive passes the west side of Painter Hall today. Its height enticed students to climb up and enjoy the view, and to paint class numerals and other decorations. On the brisk autumn morning of October 13th, about two months after the tank’s arrival, the campus awoke to find that the junior law class (the first-year law students) had scaled the ladder attached to the northwest support and decorated the sides of the tank with white paint. 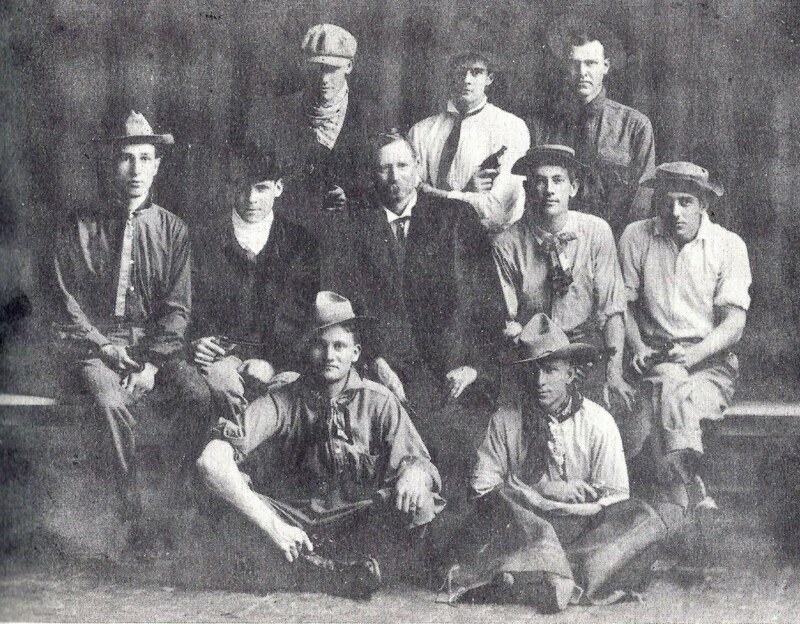 The initials of the 1907 Law Class – “0L7” – were boldly displayed, along with “Beware Freshie” and some derogatory remarks about freshmen, especially first year engineering students. Shortly after dinner that evening, the “clans of the engineers” gathered around the water tank, shouted class cheers and yells of defiance, and dared the law students to dislodge them. “Mars was the ruling planet in the horoscope for University students for several days,” noted The Texan campus newspaper. The junior laws responded accordingly, and amassed to face off against their campus rivals. Once begun, the freshman scrap sprawled over a half-acre and lasted almost an hour. “I entered the melee with a full wardrobe,” Toombs recounted, “and emerged minus a sweater, shirt, cap and part of my ‘munsing-wear,’ not to mention about four square inches of skin.” Though the junior law students were generally older and stronger, the engineers held a numerical advantage. As opportunities arose, unwary laws were captured and “baptized” in the mud pool below the water tank. The battle didn’t subside until the both groups were exhausted, and the muddy and overpowered junior laws had retreated, at least temporarily. 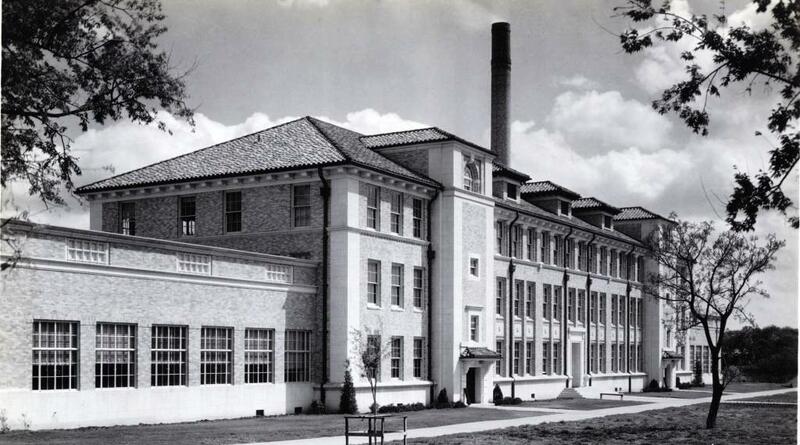 Flushed with their victory, the engineers recruited Toombs, along with fellow freshmen Clarence Elmore and Drury Phillips, to climb and redecorate the water tank. The ascent was a perilous one, as the ladder only went as far as the bottom of the parapet that guarded the service platform. Each of the three would have to grab the parapet, hang by their arms, and swing their legs up and over the railing to get a foothold. Since the law students had done this the night before, the three were certain they could “do all a miserable law could do,” and set out on their mission. Armed with white paint, paintbrushes and Toombs’ sign, the group brought along a pair of blankets each, as they planned to stay and guard their work through the chilly night. Take your dues, ye engineers. Take a mudding mid the jeers of the ‘Varsity’s population –Simkins’ Equity is just. And the Laws will, when they must, give to you its application. 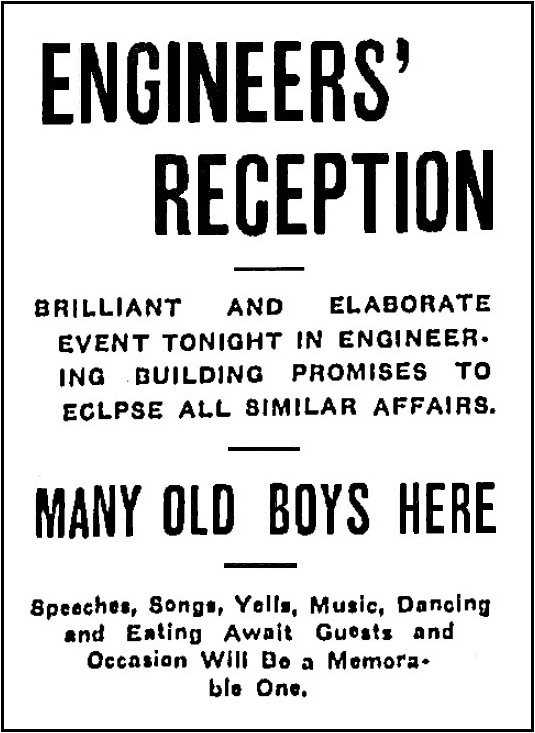 That same night the Engineers, a noisy, noisome crowd, took lessons in high art at which no Law man was allowed. And those few Laws that hung around, knew not which way to turn. On every hand the enemy,whose need seemed to be stern. President Prather, though, was not amused, and by mid-morning had hired someone to repaint the entire tank in gray and remove the ladder. Of course, this only provided an irresistible challenge to the students, and the water tank was regularly decorated through the rest of the academic year. 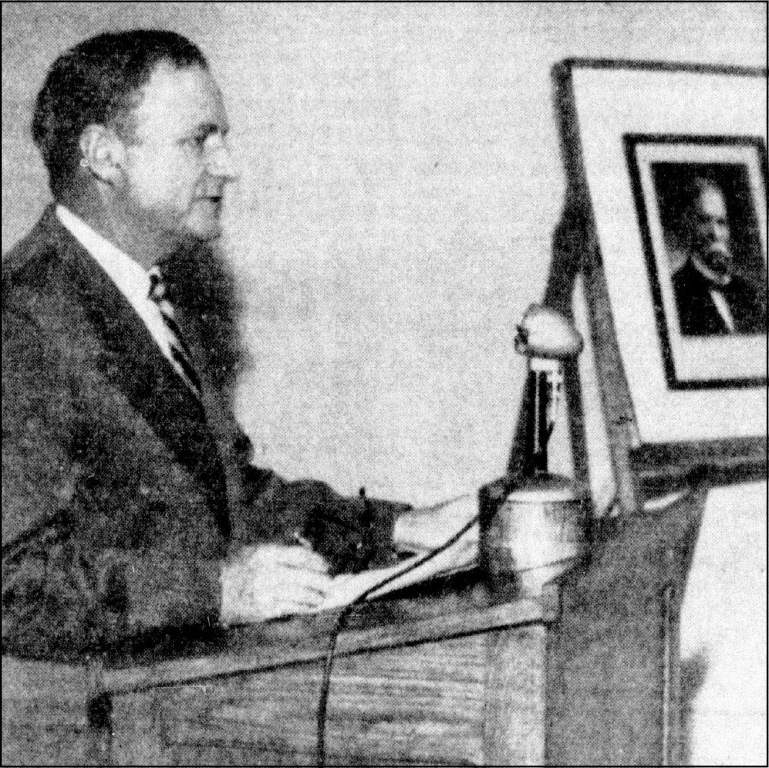 When Dr. David Houston succeeded Prather as president in 1905, he adopted a different strategy, and told the students they were welcome to paint the tank as often as they wished. This took all of the fun out of the deed, and the tank was neglected for years. 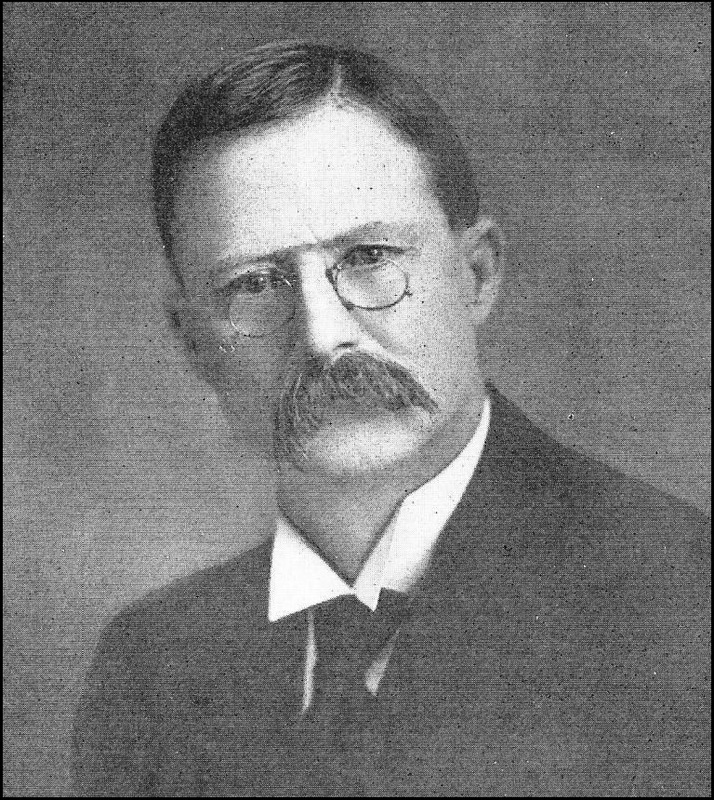 William Battle, a Greek and Classics professor who had also founded the University Co-op and designed the UT Seal, rose through the academic ranks and in 1914 was appointed acting president. His attitude was “touch not,” which promptly re-ignited student interest. 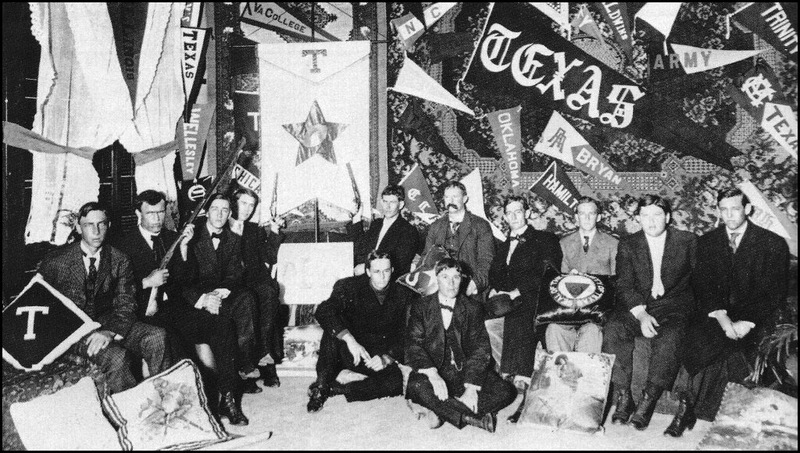 The tank was decorated once more, including a 1915 incident where several professors had to guard the tank overnight. 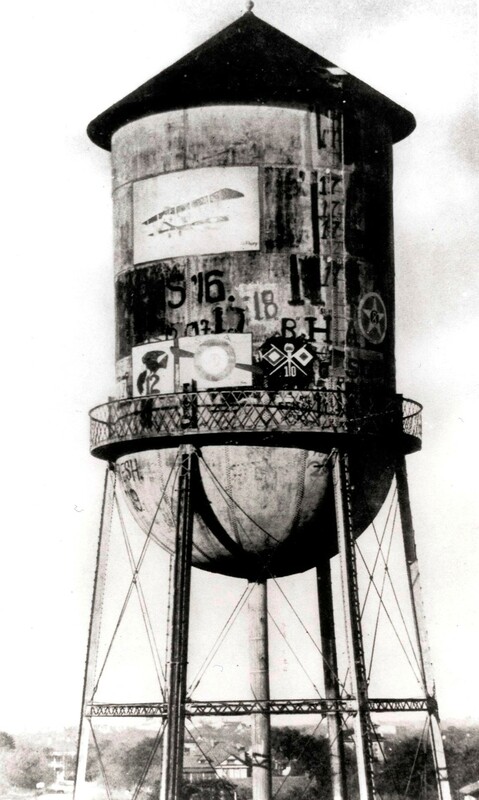 The water tank remained on the campus through World War I. 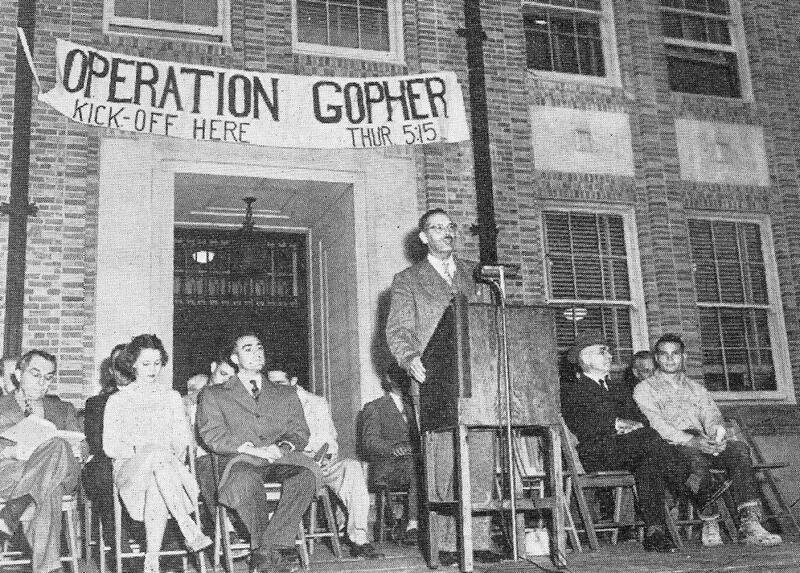 Along with the usual class initials and slogans, the tank sported the insignias of the military schools stationed at the University through the war, including a particularly well-done mural of a bi-plane painted by a soldier in the School for Military Aeronautics. The Thrilling Adventures of Alec! Above: Headlines from The Texan in April 1908. 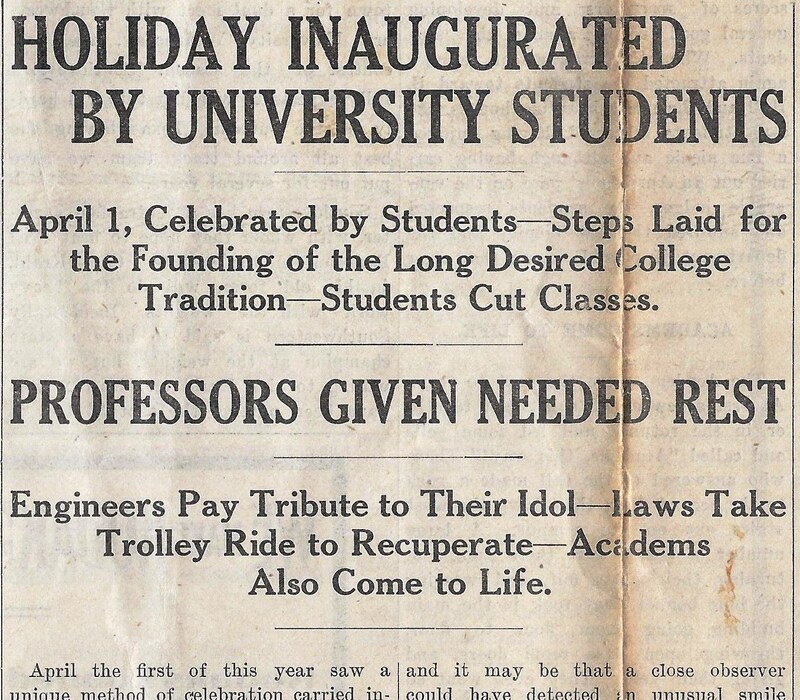 “Holiday Inaugurated” – “Professors Given Needed Rest.” How considerate of UT students to give the faculty a day off! All hail UT’s patron saints!! Among the schools and colleges on campus, a few have taken on mascots which have affectionately been promoted to patron saints. The law school has its staid Peregrinus, business boasts the wily Hermes, architecture claims the mysterious Ptah. But the best-known is the patron saint of the Texas engineers: Alexander Frederic Claire, or simply, Alec. 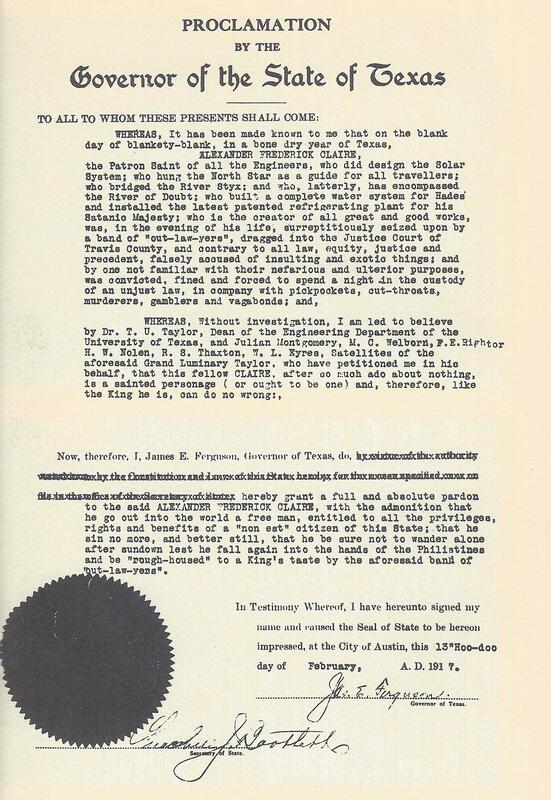 His arrival created an annual UT holiday. When the University first opened in 1883, the academic calendar of choice was the quarter system, and holidays were in short supply. The fall term opened in early October, with final exams completed just in time for Christmas. Winter classes resumed the third or fourth day of January and ran through mid-March. And without a pause, the spring term began immediately after winter finals and continued mercilessly until the first week of June. In the spring, students were permitted only two days to catch their breath: March 2nd in honor of Texas Independence Day, and April 21st for San Jacinto Day. 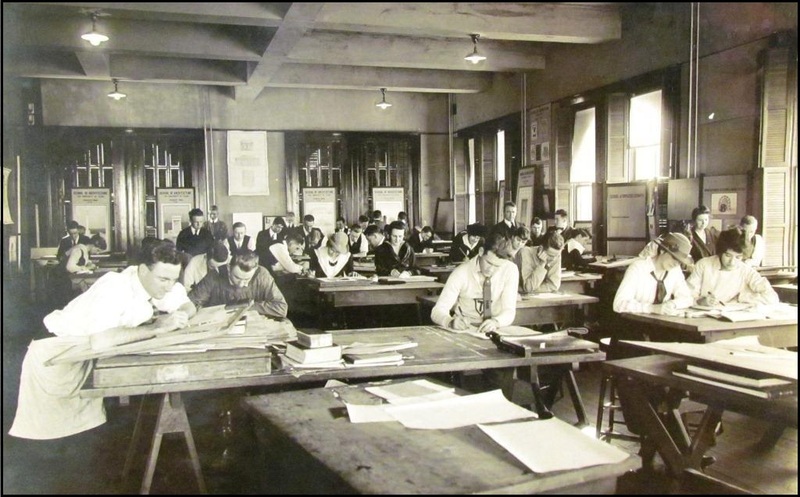 In 1908, the start of spring classes was joined by a student movement for a third spring holiday, preferably April 1st, which was about halfway between the other two. Officially, the faculty opposed the idea, though professors did nothing to prevent the cause from gaining momentum. As the students began to organize, there were indications that if their request was refused, they would simply stage group walkout for the day. 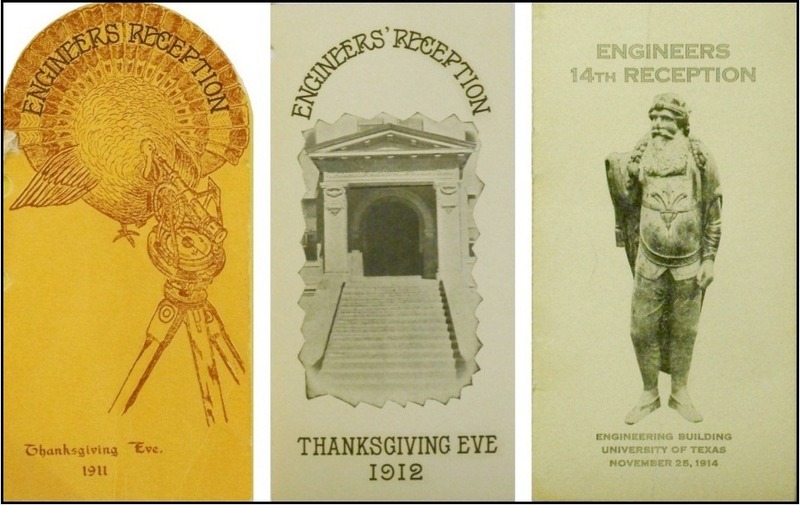 About the same time, UT engineering students received an invitation from their counterparts at the University of Missouri to travel north to the Show Me State for St. Patrick’s Day. Since 1903, Missouri engineers have declared St. Patrick to be one of their own, and have used March 17th to celebrate. 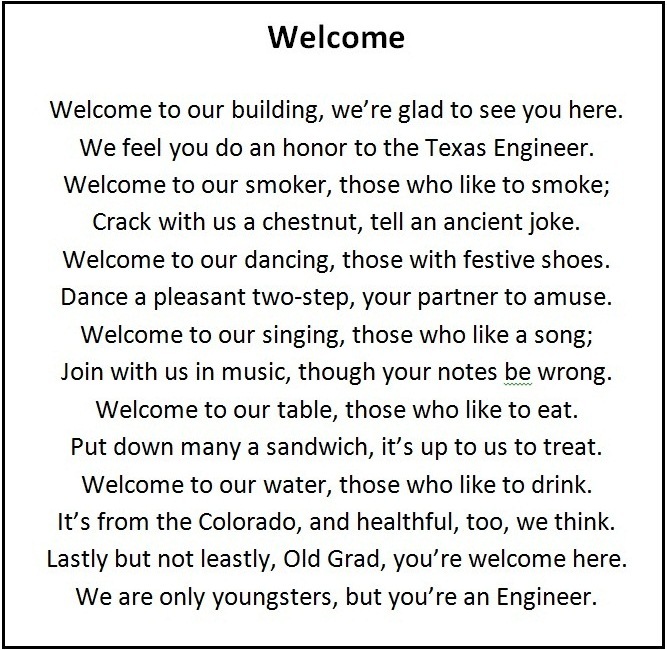 As for the Texas engineers, they’d already claimed a patron saint. Since 1901, Alexander Frederick Claire – or “Alec” – was the main character in Hi Ho Balls, a favorite song of the engineers. But Alec was known in name only. There was neither an appropriate physical rendering, nor a special day, for UT’s patron saint. The invitation from Missouri, along with the students’ request for a holiday, sparked an idea. If the Missouri engineers take a day off to honor their patron saint, why not dedicate the first of April as a day of homage to Alec? 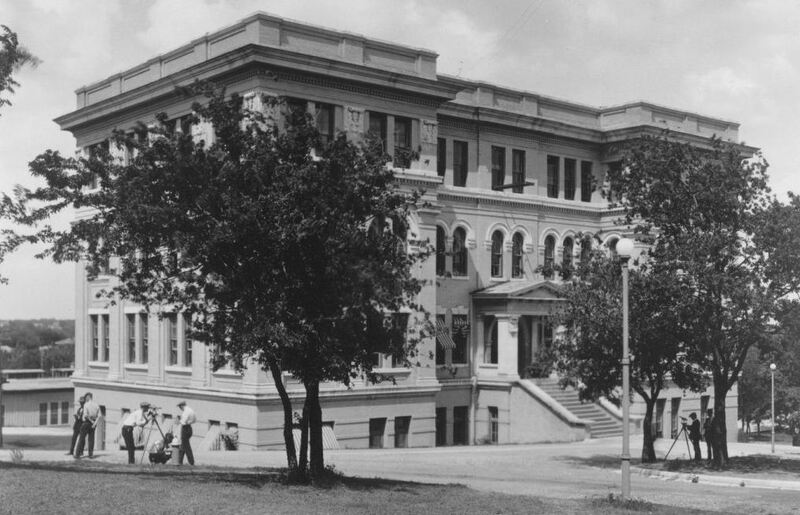 Above: students practice surveying in front of the old Engineering Building, today’s Gebauer Building, just east of the UT Tower. First on the agenda was to make plans for April 1st. 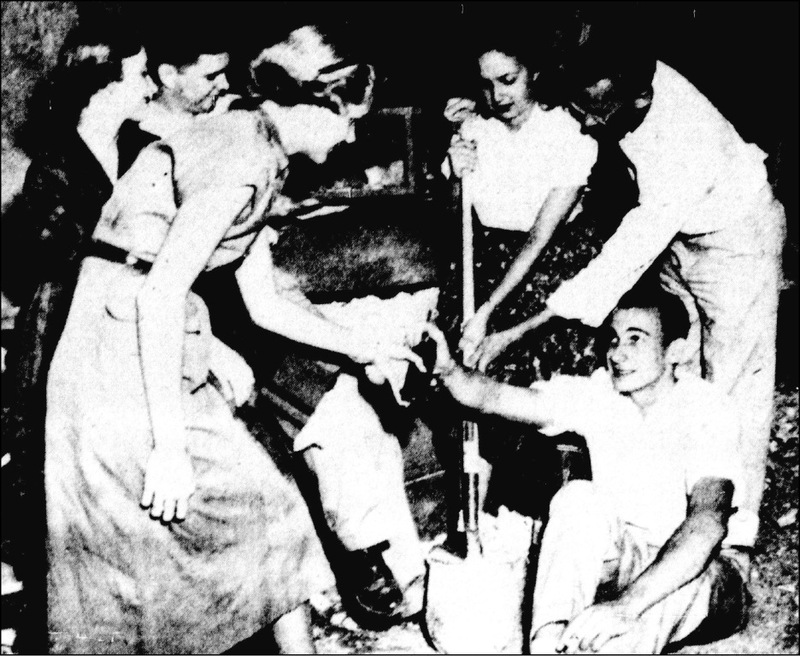 To encourage their fellow students to cut classes, the group wanted to smuggle a few stray dogs up to the top floor of the old Main Building, tie tin cans to their tails, and let them loose during the first class hour at 9 a.m. It was hoped the ruckus would create enough chaos to disrupt classes for the day. The group adjourned to find the required canines, but the neighborhood dogs weren’t very cooperative, and the idea was dropped due to a lack of volunteers. Instead, the club adjourned to Jacoby’s Beer Garden, just south of the campus on Lavaca Street. 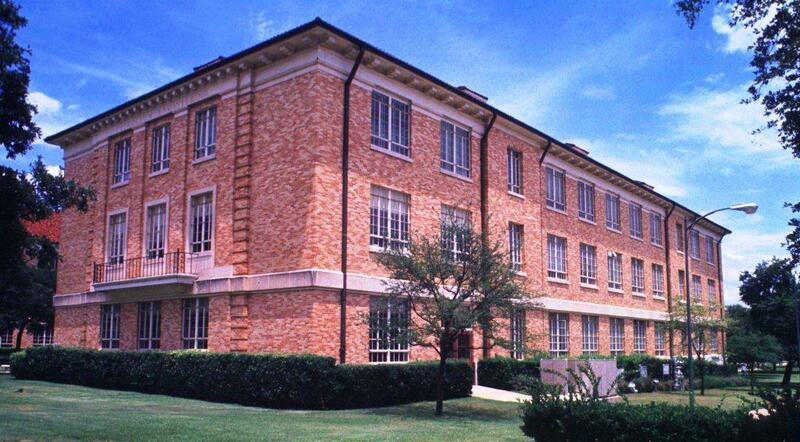 On the sunny and humid morning of Wednesday, April 1st, everyone in the Engineering Building knew “something was up.” Professor Bantel went to his office and locked the door, while Dr. Benedict, who had scheduled a quiz for his first class, failed to show up at all. The engineering students gathered in front of the building and lined up in rows of four, while a few created a makeshift band from some tin horns, hastily crafted kazoos, and an improvised percussion section of trash cans and lids. At precisely 9 a.m., a noisy procession set off across the campus. 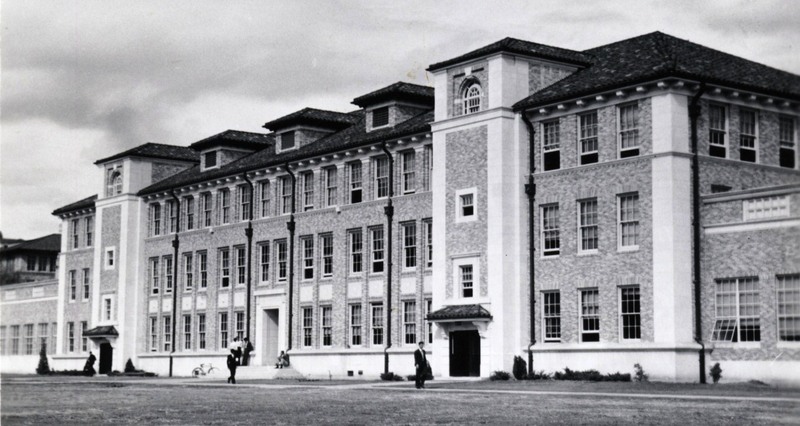 The engineers marched around the perimeter, entered into the west wing of the old Main Building, through the central rotunda, then out the south main door. There, the group formed a circle around the new likeness of their patron saint. In front of Old Main, Alec was formally unveiled as a handkerchief tacked on to his head was removed with great flourish. Sophomore Joe Gill spoke eloquently on the life of Alec, who, Gill claimed, was the founder of engineering science. It was Alec who created the Pyramids of Egypt, the Hanging Gardens of Babylon, and the Great Wall of China. Alec himself surveyed and built the roads of Ancient Rome, dug the Suez Canal, and invented the T-square, the original model still on display in the United States Patent Office. Alec’s achievements were so moving to Gill, he was reportedly overcome with emotion several times and had to constantly wipe away a stream of tears from his face. 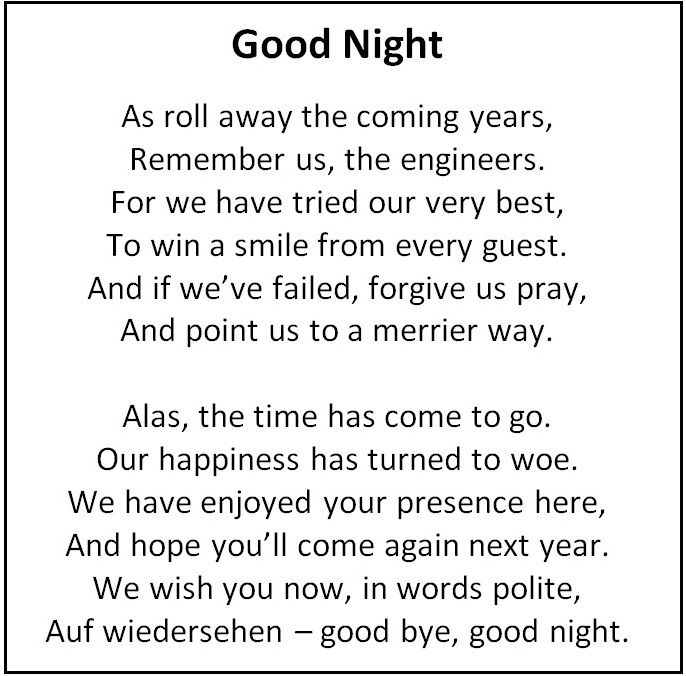 Following Gill’s tribute, the engineering students filed past their patron saint one-by-one. Each placed a small bouquet of hand-picked bluebonnets at the base of the statue, then swore allegiance to Alec with their right hand resting on a “holy” calculus textbook. The ceremony concluded, senior engineers promptly kidnapped Dean Taylor (who had neglected to lock his office door) and went for a picnic at Bull Creek. The rest of the engineers set out for a trip to the Austin Dam and a day of swimming. Not wanting to be left out, law students abandoned their classes en masse and turned the city’s electric street cars into roving party vehicles, while the Academic Department (Arts and Sciences) went as a group to Sixth Street. Though it was never officially approved, for years April 1st became an annual “cut class” day. 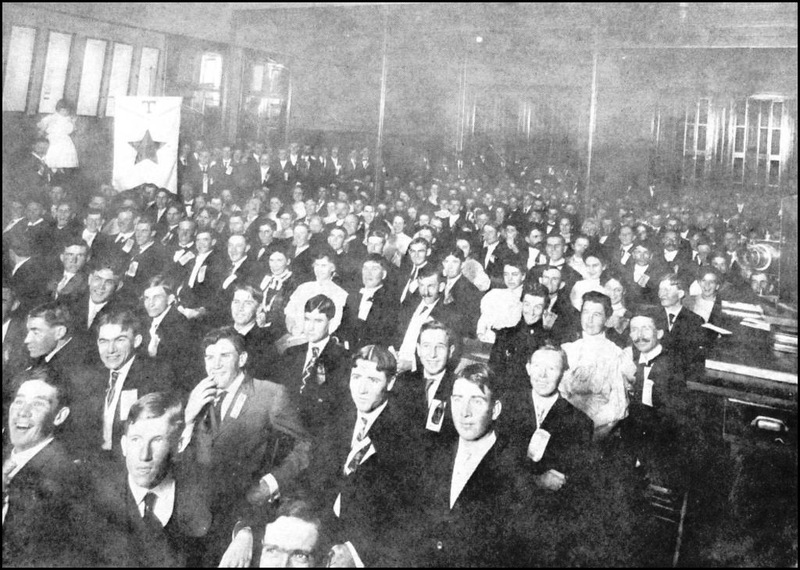 Above: In November 1913, engineers celebrated the rescue of the original Alec after the laws took the patron saint to farm in Pflugerville. 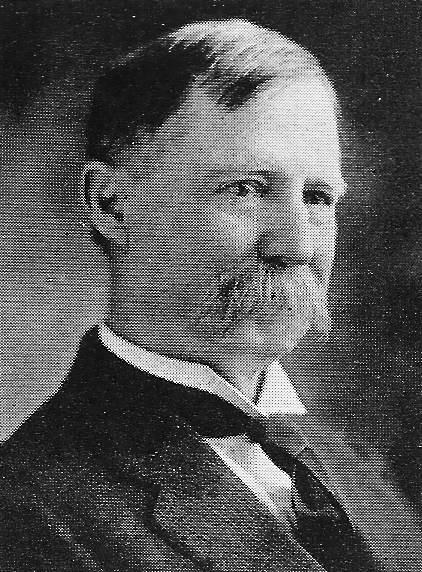 Above: After being declared a “vagrant” at the hands of the law students, Governor James Ferguson issued a pardon to Alec in 1917. Click on the image to see a larger version. 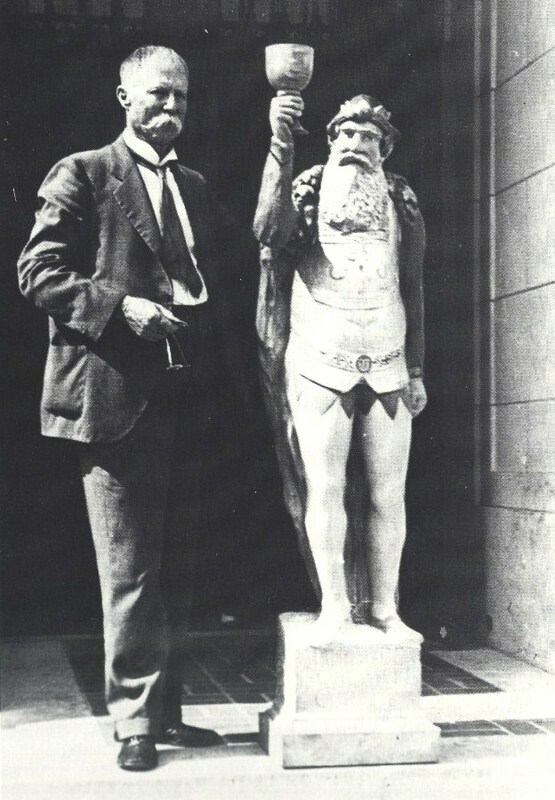 Because the laws still held a bill of sale, Dean Taylor elected to retire the original statue. 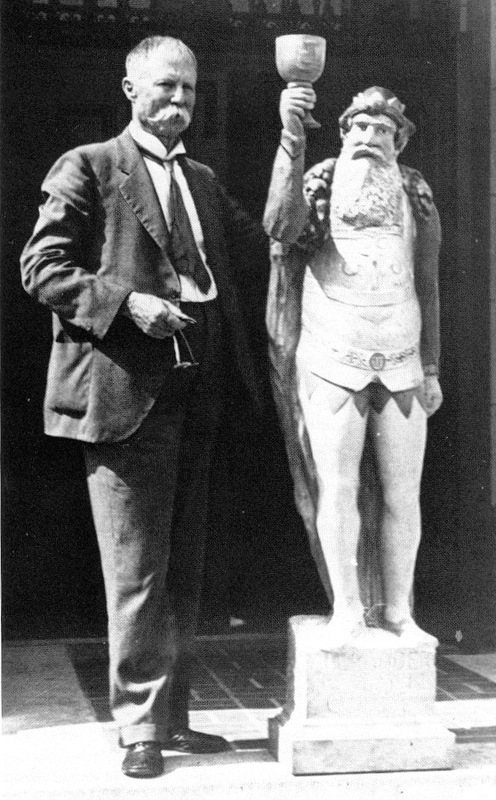 In 1917, Alec’s right leg was cut into small strips, branded “CELAFOTRAP” (“Part of Alec” spelled backwards) and sent to Texas Engineers fighting in the American Expeditionary Force during the First World War A second statue was created by local woodcarver Peter Mansbendel. 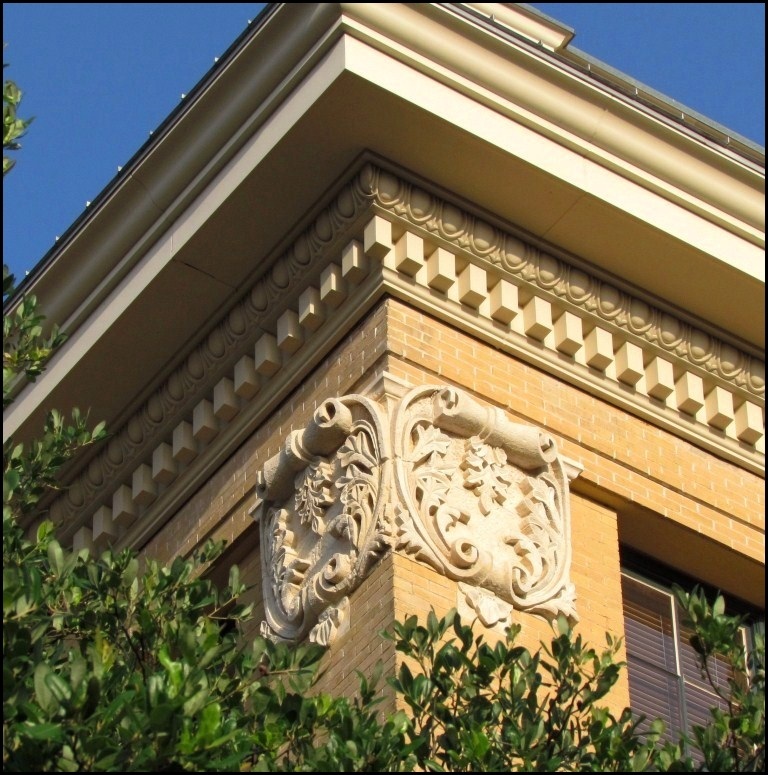 The new Alec was kept locked in a vault in the Littlefield Building downtown, where he could make a short but safe trip to the annual Engineer’s Banquet at the Driskill Hotel next door. 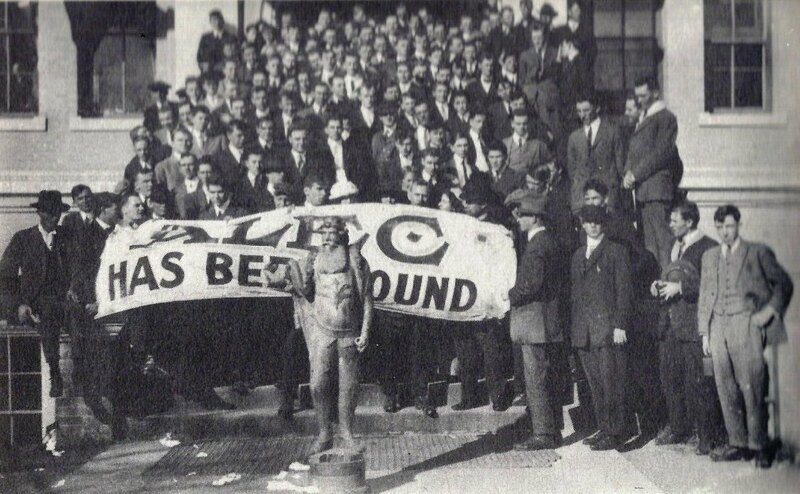 A decade later, on February 21, 1927, the evening of an Engineer’s Banquet, the Laws took Alec once again. Sixteen law students climbed up a fire escape to enter a hotel room guarded from the hallway by Dean Taylor and several engineers. The laws dismembered the statue, sent the head to Governor Daniel Moody, and delivered other pieces to law alumni. The torso was hung in a tree on the campus for a brief time, then disappeared, only to turn up years later in the Law School library. Governor Moody returned Alec’s head to Dean Taylor, who commissioned a third rendering by Austin master woodcarver Peter Mansbendel, who incorporated the head and other salvaged pieces of the patron saint. In March, 1987, word reached the College of Engineering that the dismembered torso of the second Alec had recently been discovered in the Tarleton Law Library, an opportunity the engineers couldn’t resist. On March 30th, David Walker and Chris Flynn, then engineering seniors and members of the newly formed “Order of Alec,” approached Julia Ashworth, an archivist at the law library. The two claimed to be from the Cactus yearbook, and asked if they could take a photograph of the torso. Ashworth agreed. Making the excuse that there wasn’t enough light in the library, Walker persuaded Ashworth to take the torso outside. Once outdoors, three masked “unknown and unnamed ruffians” rushed by, grabbed the torso and disappeared. On April Fool’s Day, Gloyna was subpoenaed, along with a few engineering student leaders, to appear in court. The laws argued the engineers had waited too long to claim ownership of the torso, and demanded Alec be returned to them. The two groups met in court on Friday, April 3rd. 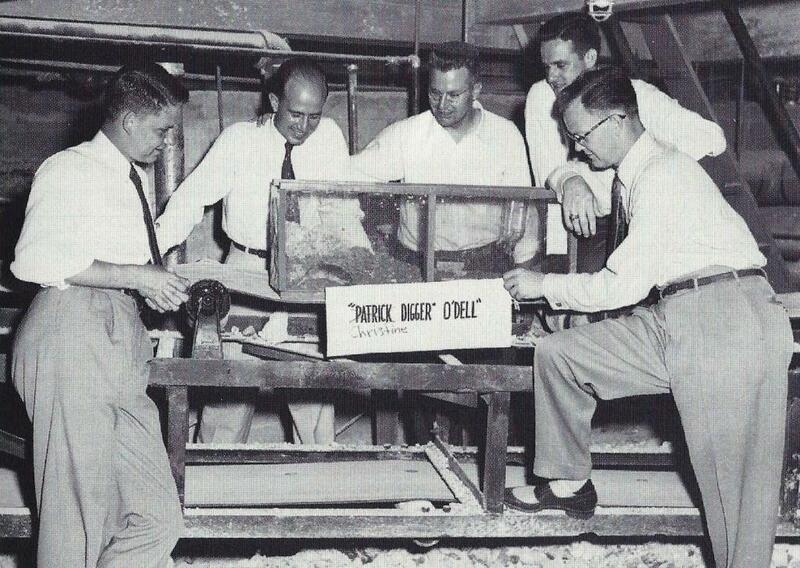 On one side were the “law nerds” while others wore buttons that read “unknown and unnamed engineering geeks.” Judge Harley Clark (who, as head cheerleader in 1955 introduced the “Hook ’em Horns” hand signal) presided, and listened to both arguments. In the end, Clark made no decision of ownership, hoped that Alec’s “thieves” would keep him safe, and that the rivalry between the two schools would continue. Today, Alec, along with the recovered torso, are stored in sealed exhibit cases in the engineering library. The statue is bolted to the display case, which has a heavy concrete base. Alec is safe, for now. 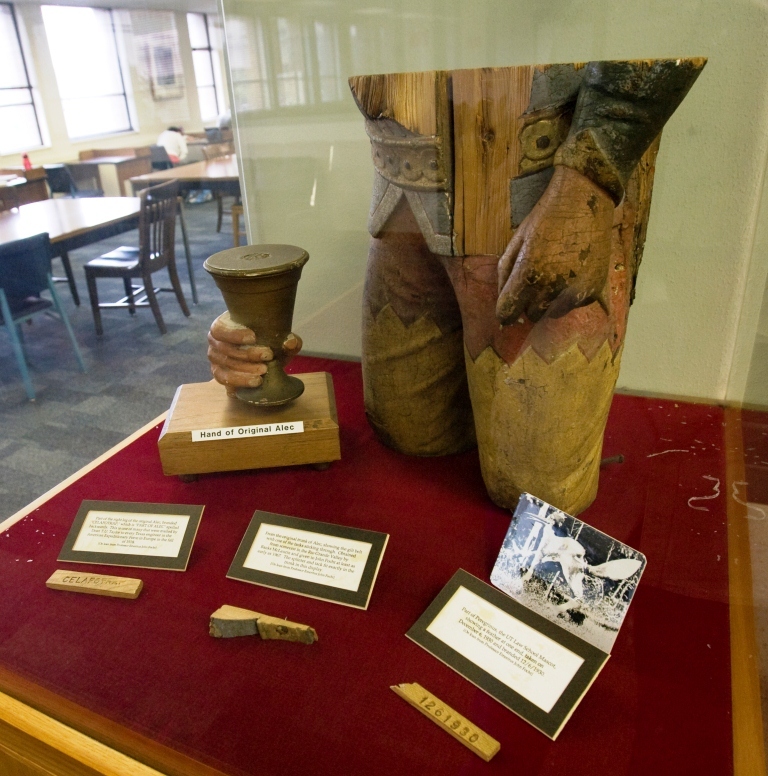 Above: The recovered torso and pieces of the original Alec statue – included one branded “CELAFOTRAP” – are on display in the engineering library.